Image: Mike Pont/FilmMagic/Getty Images, Mark Large - Pool/Getty Images. Now, this is a great way to honor your late father. 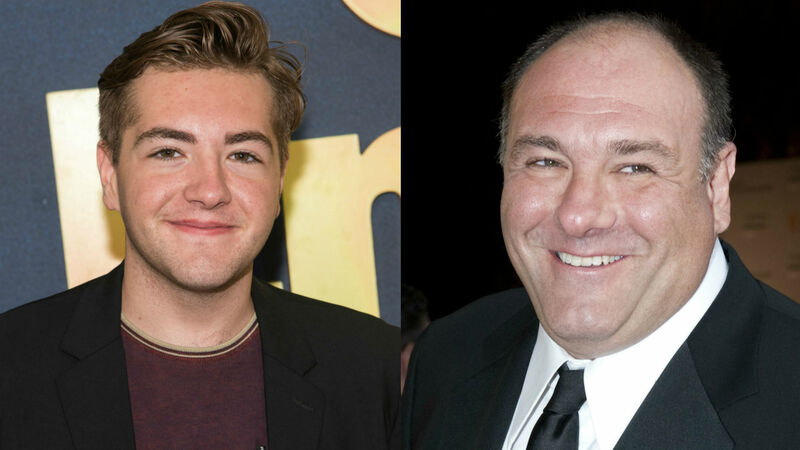 James Gandolfini’s son will play young Tony Soprano in the upcoming prequel to the beloved Sopranos, which originally aired from 1999 to 2007 on HBO. On Tuesday, Deadline announced the casting news, and it sounds like Michael Gandolfini couldn’t be more honored to follow in his father’s footsteps. James Gandolfini played Tony Soprano for six seasons and also won a Golden Globe and three Emmys for his portrayal of the mob boss. The Many Saints of Newark is the title of the prequel, which comes from original series creator David Chase. As reported by TVLine, the film is set in Newark, New Jersey, during the riots of the 1960s and will center on Tony’s uncle Dickie Moltisanti (played by Doll & Em’s Alessandro Nivola). Jon Bernthal (The Walking Dead), Vera Farmiga (Bates Motel), Corey Stoll (House of Cards) and Billy Magnussen (Maniac) are also part of the cast, but their roles are unknown. Happy birthday Dad. Today we celebrate you. We celebrate the times we had, the secrets we shared, the fun adventures, and the lessons you taught me. I Love you more and more each day. I miss your laugh and I miss your smile, but I’m so lucky that I got to be your son. I’m working hard to make you proud and I feel you beside me every step of the way. It won’t ever get easy without you here, but that’s ok, cause I’m grateful for all our times. Thank you for sending me role models and a group of men who help teach, guide, educate, and inspire me. I miss you and I love you. This isn’t the first time Michael Gandolfini has acted, either. He appeared in five episodes of HBO’s The Deuce, so he has experience in front of the camera. In June 2013, James Gandolfini died at the age of 51 after suffering a heart attack in Italy. News of his death, obviously, came as a shock to many, and it was a huge loss to the entertainment community. So now to learn that his son will take on a younger version of the role he made famous, it’s like life is coming somewhat full circle. James Gandolfini would probably be just as honored about the casting news as his is to step into the role.